In the next few weeks, downtown Stamford welcomes a newcomer to 909 Washington Blvd by the name of Hotel Zero Degrees. We know that there are 97 rooms, 8 floors and a sleek website featuring boatloads of "coming soon"s. The site reveals a few details. For instance, breakfast and Internet access are complimentary. There's a pool and a fitness center. Pets are allowed for a $10/day fee. Beyond that, lots TBD. They've got a Facebook presence with a bit more info, including a picture and a word on the name's origin as well. 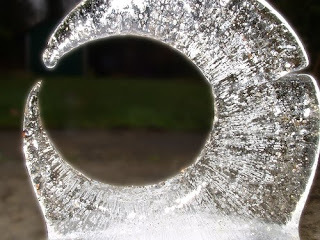 Hope to learn more in the coming weeks - fingers crossed for ice sculptures! Thanks for the heads up, Notes. Wonder if it's cheap enough for my blog? They've got to be doing SOME promotions soon, right?